Clifford Chance is innovating to optimize value for clients. This includes reducing their technology toolkit for fee-earners, as part of a best delivery program. The aim? To drive greater adoption and engagement with chosen platforms that will deliver efficiency, client success and progress innovation across the legal community. Workshare Transact - supporting Clifford Chance's transactional teams with their CP collection and other deal closing processes. Global adoption of a single platform to deliver a more productive and streamlined deal closing for transactional teams. A better, more transparent and cost efficient experience for Clifford Chance's clients. What's driving innovation for Clifford Chance? "The future of a law firm like ours is to be innovative and to embrace innovative solutions for our lawyers and our clients. And I think this is a crucial moment that we really need to embrace; it's a crucial moment in the transformation of the legal markets." "There is this burning platform to change the way the legal industry delivers its services. What we're trying to do at Clifford Chance is find the best way to respond to that. When I started in the legal industry people weren't that comfortable using Word processing all the time and that was really a game changer for the legal industry. There will be game changing software out there that will do something similar for the legal industry that Word processing did 25 years ago." "It's not just Clifford Chance or our clients who needs to benefit from efficiency gains. It’s the wider legal community. We are convinced that if you want to make progress in the legal sector and if you want to introduce technology successfully, you need to do it together." 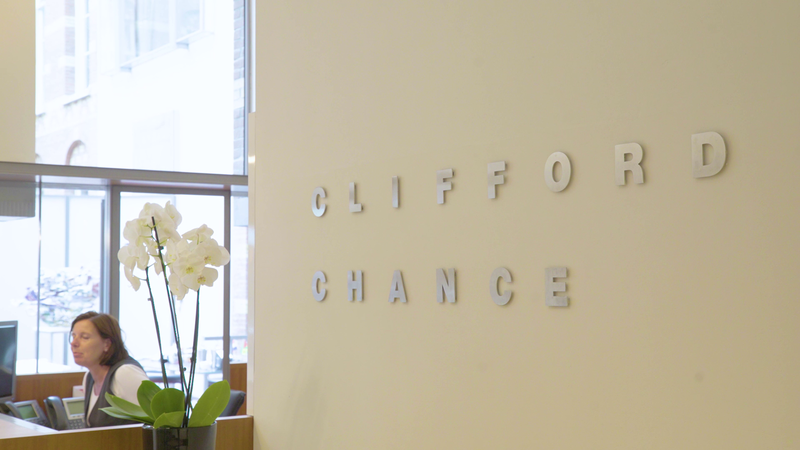 Why did Clifford Chance prioritize Workshare Transact? "One of the key elements of our best delivery strategy is to find the right resources for the right work. We ask, what are the key issues that we want to resolve and then what technology works best for that solution. We see this transaction management tool, where you work with an online platform, as a huge step up." "If you asked me what's the driver for using this tool, it's to make sure that we stay ahead, we don't want to wake up somewhere in the future and conclude that we missed the boat somewhere." "Workshare Transact has been prioritized as one of the tools that we really want to focus on rolling out in Clifford Chance and gaining wide adoption for."